The Stanley Hotel never disappoints. Between the incredible art and breathtaking views you can't go wrong getting married at this amazing historic hotel. When planning the day with this sweet couple Jamie mentioned that he was sad the wedding deck was booked during the time-slot they were hoping for. We'd be lying if we weren't a little sad as well because 2pm in Colorado is so hit and miss. 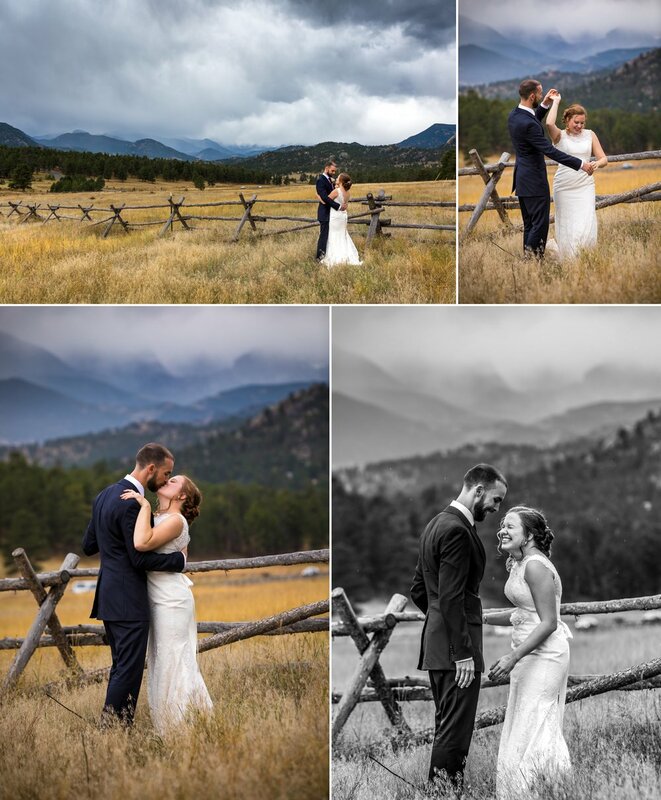 However, the clouds and weather held out just long enough for a GORGEOUS 2pm ceremony and during portraits the sky opened and it started raining! 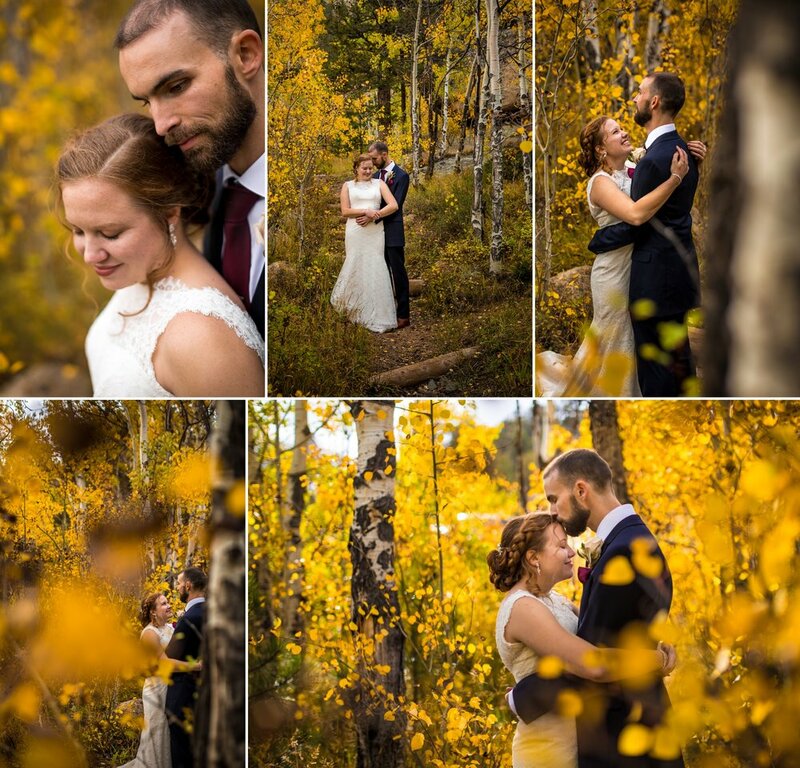 This couple wasn't even phased by it!